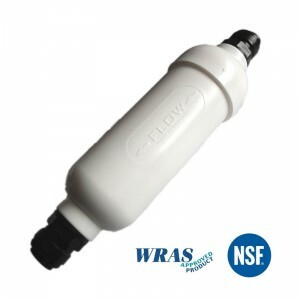 Water filters manufactured for domestic use are purposefully designed to be easy to install. 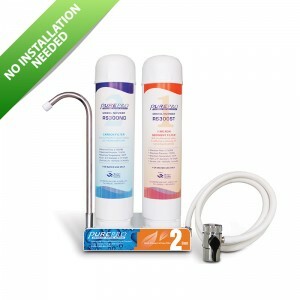 Most water filter systems can be installed by following the instructions supplied with the product and don’t require any plumbing knowledge. There are slight differences in how to install a water filter, depending on the type (countertop or under sink) and the brand of the water filter, but there are universal installation steps that apply to all filters regardless of type or brand. Some filters are easier to install than others, but they all aim to make the installation process as simple, and as hassle-free as possible. Some under sink water filters use complex technologies to filter municipal water and can even use a combination of different types of water filtration technologies. In some cases, their installation in itself can be quite difficult and time-consuming, and you may need to rely on an expert to install your water filter. However, in order to simplify the installation process of water filters and cut down on set-up times and costs, many water filter brands now manufacture DIY installation water filters, which are quick and easy to set up. With a DIY water filter, you can take matters into your own hands and forget about waiting around for a plumber and paying costly plumbing fees. 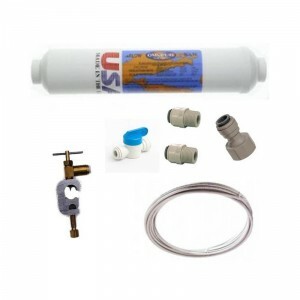 These easy installation water filters are usually dispatched with all the equipment necessary for installation and a detailed instruction manual on how to set up the water filter system yourself. Just like humans, plants rely heavily on water and the quality of water is essential for their healthy growth and development. If you are a serious gardener, you probably know by now that any water will just not do. 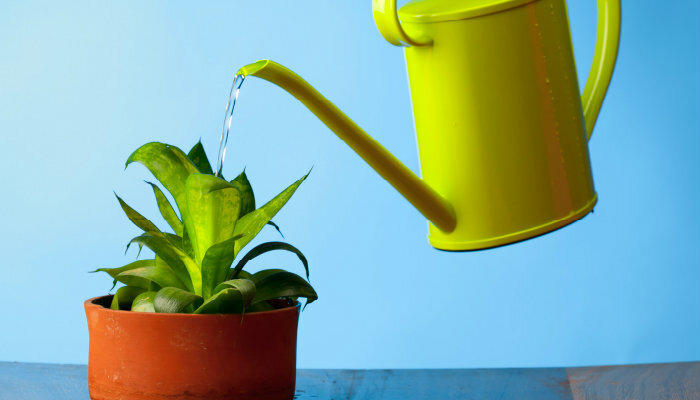 Plants create a healthy environment in our homes and gardens, provide us with oxygen and clear the air from toxins, so it is understandable that they too are picky about water. Whether you are using tap water or water from a well or other natural source, your plants or crops may be exposed to several factors that are either related to the effects of possible pollutants contained by water or to the quality of the water that you are using. Using a water filter can solve many of these issues and your plants will surely be grateful for it! Plants are not fond of chlorine, which is present in most municipal water supplies, even though chlorine is a gas that can easily evaporate from water if left to “breathe”. Even if you use water from a well, the water may still be „hard”, that is, it’s high in minerals such as calcium, magnesium, sulphur or iron, which can lead to nutrient lock-up in your plants, which in turn leads to the inability of your plants to absorb nutrients. A simple solution to treating hard water is to use an activated carbon filter. Does cooking with filtered water really make that much of a difference? Cooking, baking, or just preparing a snack for your children, many people spend hours in their kitchen every day. As you are steaming your vegetables for dinner, or brewing a morning cup of coffee, the simple answer is yes. Cooking with purer, cleaner, filtered water does make everything taste better. Cooking with filtered water is one of the many benefits you can enjoy from installing a home filtration system or a specialty 3 way kitchen tap from Water Filter Shop UK. These premium filtration systems keep the water that you use on a daily basis free from harmful contaminants and minerals. If you are washing, preparing, or cooking with unfiltered water, it can affect the flavor and even texture of the foods and drinks you consume. So, from coffee to pasta, here are some advantages of cooking with pure, clean, filtered water.